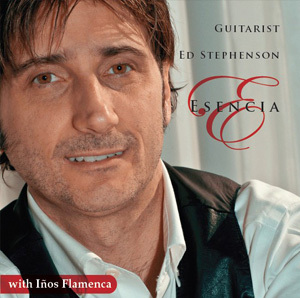 Ed Stephenson and Iños Flamenca is a Spanish music and Nuevo Flamenco ensemble of two guitars, percussion and bass. "Esencia", their most recent CD, contains original music and traditional Spanish compositions. The Ryoanji Duo was established in 1992 with the premiere of In the Dragon's Garden and since that the this unusual combination of guitar and saxophone has became more popular. One reason is that the Ryoanji along with other such duos has been commissioning new works from composers around the world. 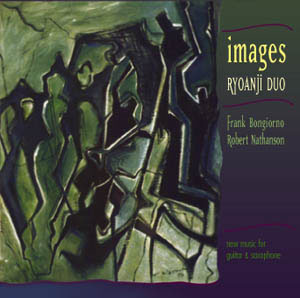 Images is Ryoanji's first compact disc consisting of all the works they have commissioned to date. 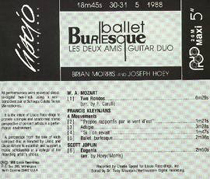 There are NO transcriptions on this disc, only original works for this combination--and what variety there is among the pieces! ! is a rhythmic and textural delight! 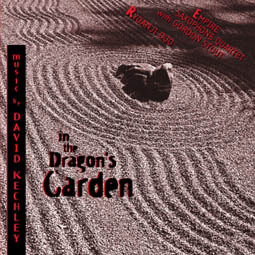 The second work, DRIVELINE: A Powerwalk for Guitar and Alto Saxophone is Kechley's second work for the Ryoanji Duo and just as its older sister, In the Dragon's Garden, it is a demanding and virtuoso piece, but in a much different way. 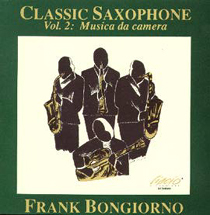 The middle section features a role reversal with a slow tremolo melody in the guitar "accompanied" by broken intervals in the saxophone. 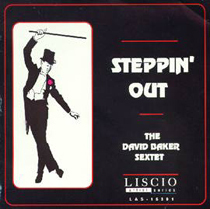 Tracks 5-8 feature the Empire Saxophone Quartet performing Stepping Out, one of the composer's most popular saxophone pieces. Its four movements range in style from Minimum Overdrive, a minimalist spoof to Midnight Reflection, a sparse and even pointalistic opening giving way to a sustained and expressive climax, to Anonymous, another spoof, this time with a medieval reference. 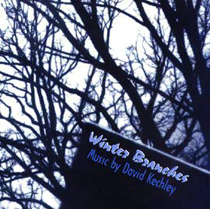 The work ends with An Easy Burden, a warm and melodic piece designed to make the listener feel good, whose strains are remembered long after the rich open fifths with which it concludes. 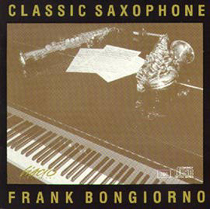 Robert Nathanson and Frank Bongiorno of the Ryoanji Duo give a sizzling performance of In the Dragon's Garden, a piece they have come to "own" since they premiered it at the 1992 World Saxophone Congress in Pesaro, Italy. It would be difficult to follow this performance and this intense and intricate work with anything else. Perhaps this is why the entire disc bears the name of this work! 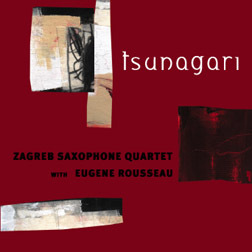 World class master of the saxophone, Eugene Rousseau, teams up with the Zagreb Saxophone Quartet to deliver dynamic and very musical performances of some rarely heard quintets by David Kechley, Frederick Fox, and David Baker. 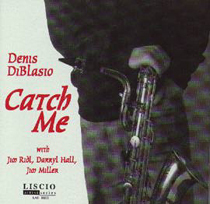 In addition the ZSQ offers compelling new interpretations of well-known quartets by Del Borgo and Phil Woods. The music is beautifully recorded at two different churches in Croatia. 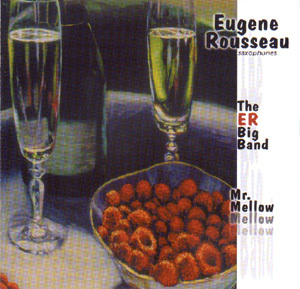 This young group is one to watch and when coupled with the refinement and experience of someone like E. Rousseau the combination is unbeatable. This is a great sounding disc, which does not compromise its artistic standards or choices of music--a powerful listening experience! 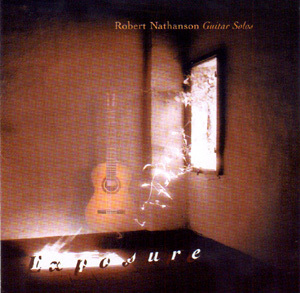 A wonderful and warm recording featuring a varied collection of solo guitar music recently re-released on compact disc by Robert Nathanson. The works range from Baroque to 20th century and the list includes both familiar titles such as Gymnopedie by Satie and less know works such as the Michael Lorimer's transcription of the Weiss Sonata for Lute in E Minor. 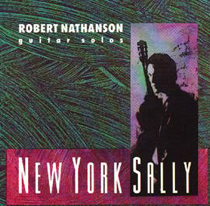 This disc is a great companion to Nathanson's more recent solo album, New York Sally. 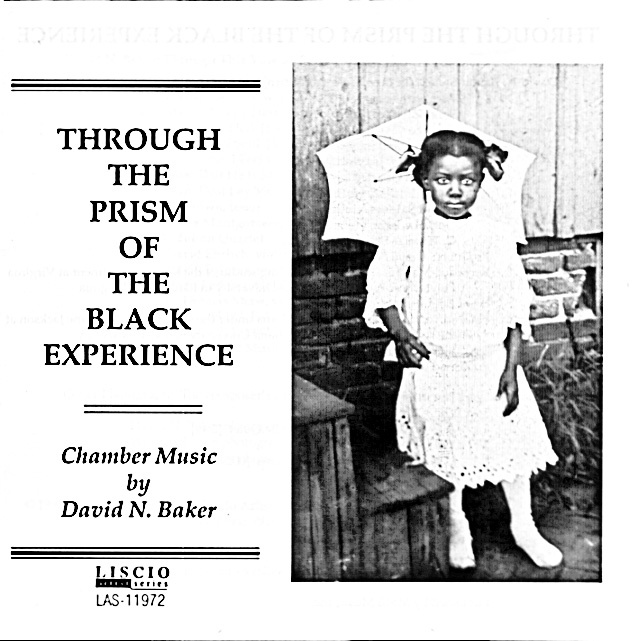 Recently discovered tapes from the third incarnation of his 21st Century Bebop Band in 1985-86 features more great compositions from the pen of David Baker. 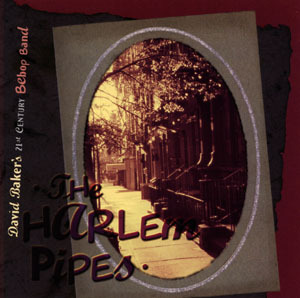 The 21st Century Bebop Band features David Baker, cello; Harvey Phillips, tuba; Luke Gillespie, piano; Charles Ledvina, bass; and Scott Latzky, drums with Lida Baker, flute and Tom Guillion on tenor and soprano saxophones. 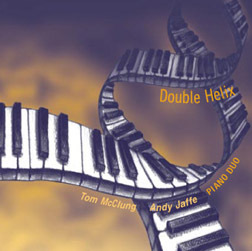 Duo pianists, Andy Jaffe and Tom McClung, mix arrangements of Ellington, Monk, Allende, and Hermeto Pascoal, with their own great piano compositions. These dynamic players compliment each other to create an amazing full sound, rich and balanced with all the right ingredients: a beautiful sense of melody, a blend of traditional and innovative harmonies like you've never heard, dazzling technique in just the right places, and lyrical improvisation as only the masters can shape. 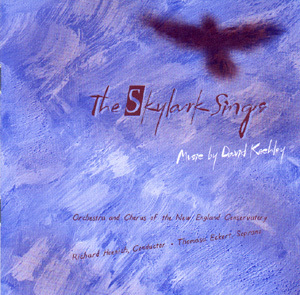 A variety of recent orchestral and vocal works by David Kechley including his 1995 masterpiece, The Skylark Sings, a setting of seven songs for soprano and orchestra which includes translations of Rumi, Japanese Haiku, Chinese, and Native American texts. The work was written in memory of the composer's brother and, although secular in nature, has the qualities of a requiem. TUAHKU: A Dark Samba for Orchestra is the second in a serious of "crossover" pieces for orchestra, which feature percussion with great energy and rhythmic excitement. TRANSFORMATIONS: An Orchestral Triptych set two shorter movements around a darkly expressive center. All of these works demonstrate the composer's strong sense of orchestral color and intense lyricism. skills and his natural talent will attract your ear. 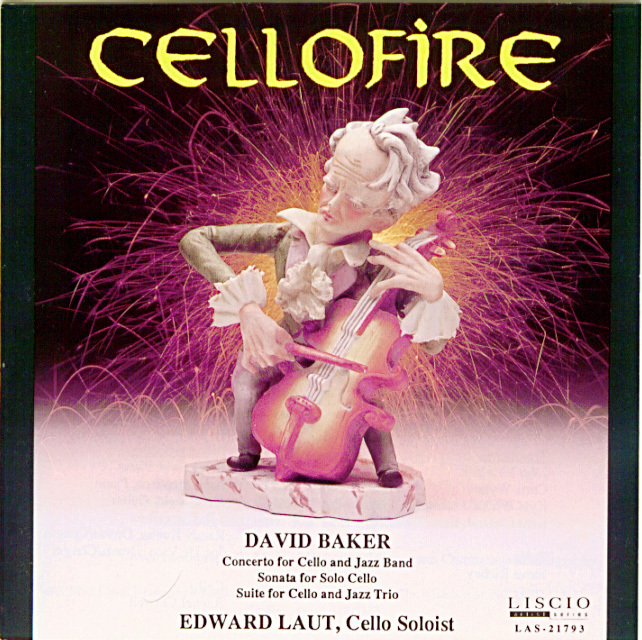 Edward Laut is featured on this "crossover" disc of music by David Baker which includes applied cello with jazz band, cello solo, and cello with jazz trio. Copyright 2000-2001. Liscio Recordings, Inc.